Betting company Betfred is being sued by a gambler after the firm refused to pay out his £1.7million jackpot. Andrew Green, 52, thought he had become a millionaire playing Frankie Dettori's Magic Seven - a blackjack game on the bookmaker's website - in January. 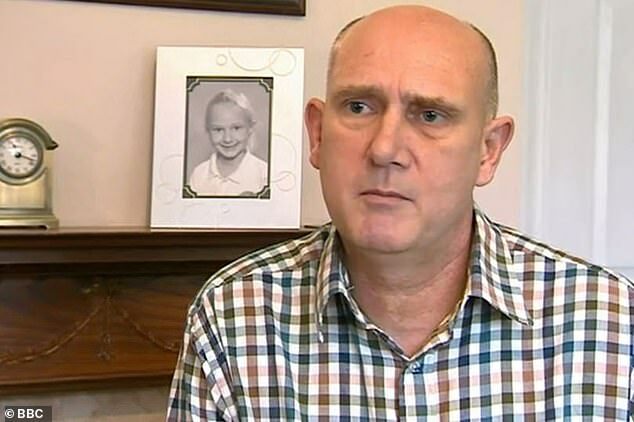 The father-of-two spent £2,500 celebrating the win with family and friends, only to be told five days later he wouldn't be receiving his prize because there had been a 'software glitch'. 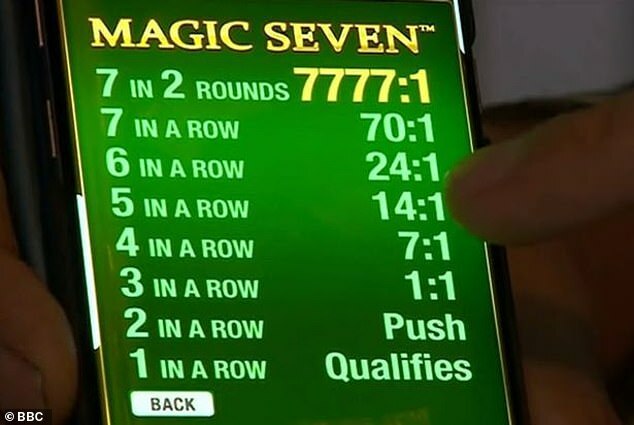 The punter, who had just extended his bank overdraft to pay for the celebratory drinks, received a call from the firm's head office telling him it was void and 'no legitimate jackpot win occurred'. Mr Green, from Washingborough, Lincolnshire, has taken the bookmaker to the High Court after turning down a £60,000 settlement, which required him to sign a nondisclosure agreement. He told the BBC: 'They [Betfred] are quick to take people's money but when it comes to paying out they offered money as a gagging agreement. 'They have buried their head in the sand. How many are there out there who have signed similar agreements? 'Over the last ten years how do I know all the money I lost wasn't from glitches in the game and they've taken my money? '. Mr Green said even if it was a glitch, he'd done nothing wrong and shouldn't be punished. He started playing Frankie Dettori's Magic Seven with a £100 stake in January and gambled away all of his money. But he then managed to work his way up from £3 to £600,000 before one final play landed him the £1.7m jackpot. Betfred said there was an error in the most recent update to the game - but Mr Green's solicitor said the company has shown no evidence of the glitch, despite repeated requests for the firm to show proof. A spokesman for Betfred said: 'Betfred loves to pay out all our jackpot winners, both big and small. 'Unfortunately, and as Mr Green is aware, a new game release suffered a software malfunction in January this year and no legitimate jackpot win occurred. A preliminary High Court hearing was held on Monday. In 2016, Betfred was forced to remove a slot game from their site after a customer was falsely told he won £30,000. Jamie Gardiner, from Kirkby, Liverpool, was playing the 'Land of Gold' game when he got three clovers and a pop up saying 'Win: £29,466.59'. 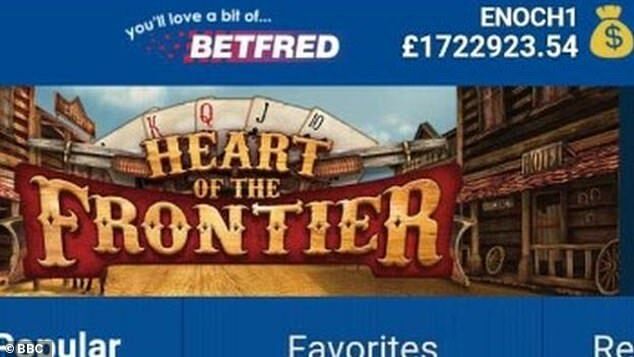 The 24-year-old was over the moon thinking he'd netted almost £30,000, but started to become concerned when the money wasn't immediately credited to his online Betfred account. Mr Gardiner said he'd won money in the same way before before, but Betfred insisted it wasn't legitimate. At the time, he said: 'I play all the time and I know when it comes up there it is meant to go straight into your balance. 'I got two mushrooms and three clovers and whenever you get three clovers you are credited with the jackpot. 'I would be able to get a mortgage and go on a nice holiday. There is no way this was a potential win and not an actual win.